What’s on Your Agenda April 22nd? 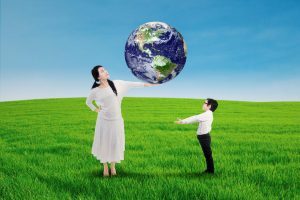 Does your family have any Earth Day homeschool activities planned? I know there are many things already planned for public, private and even charter schools. And many activities for them to choose from also. But what about us homeschoolers? Many of whom already take environmental literacy very seriously? You only have to look at our journals from our nature walks to know that. I remember being in high school in 1990. One thing that does stand out in my memory is Earth Day. I recall the hoopla that surrounded it. I also recall the number of preparations made. And how involved the entire school was in the commemoration. Not to my knowledge anyway. It affected me and some other classmates to know that something we worked so hard on the year before fell to the wayside the next year. So much so that we put together a presentation to voice our disgust. Did we no longer care about our environment? It seemed it was not a major issue with our school any longer. And it wasn’t until later – much later – when I learned the large scale event DIDN’T OCCUR EVERY YEAR. One huge question on my mind was, what happened to Earth Day 1971-1989? And why had I not been aware of the reach of the event in 1990? I mean, it was something huge. It was the twentieth anniversary of Earth Day 1970! Had the world become that apathetic? Many people are also environmentalists. Or tree huggers. Nature lovers. And those people share that love of nature with their children. Later, those children carry on the legacy of Earth Day. So, why am I not finding many activities leading up to the event? Even as I look online now, I am finding it difficult to find Earth Day homeschool activities for my family. And believe me, I get picky. We try to limit our sweets so the dirt pies are out. And anything that includes corn syrup in the recipe must be modified. Not to mention, I would like to find activities that help the environment. Something fun that also makes a difference. So, I’ve been on a hunt to find environmentally friendly, and healthy homeschool activities. Give or take a few sweet treats. What is this year’s Earth Day campaign about? The Earth Day Network is launching Earth Day and Teach-In toolkits for all who want to hold a community event. Those interested are encouraged to gather with their community to hold an Environmental Literacy Teach-In or another project focused on education. You can even register your event on the site. Granted, this would be for a larger group. Where can you find Earth Day homeschool activities? How can homeschoolers get involved in Earth Day events and promote environmental literacy? Better yet, how can a small homeschool family educate themselves and make a difference? I found one of the best resources to be the official website for Earth Day. “Each year we invite K-12 educators to join Earth Day Network and incorporate climate and environmental curriculum into their lesson plans during Climate Education Week: April 22-29, 2017. Yes, the invitation for the toolkit says K-12 educators. But, isn’t that what we are? You can download the toolkit here off the website. You can also find a ton of additional education resources on the same page. Lessons are continually being added leading up to Earth Day! And a star-studded program, “The Earth Day Special” to bring awareness. But now, there are hands-on activities and interactive lessons that homeschoolers can use. And I found even more during my online Earth Day homeschool activities hunt. Here are some that are fun, and also some that are tasty. But all benefit environmental and climate literacy. Toilet paper rolls crafts that your kids will love. They may help you free up some trash space, too. These fun Earth Day activities help empower kids to have a positive impact on the planet. These 50 Earth Day Activities for kids will encourage children to create objects from natural and recycled materials and spend more time outdoors. Here are 25 more ideas to create Earth Day homeschool activities to share with your kids. Want to slip a little science into your fun? Here are some Earth Day science activities. From earth playdough to egg planters, these 20 homemade Earth Day activities are also big on creativity. 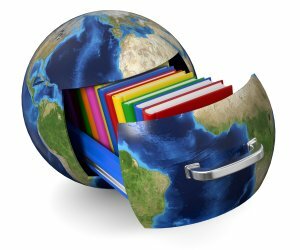 At EnchantedLearning, you’ll find all kinds of Earth Day printables. Just make sure you recycle afterward.